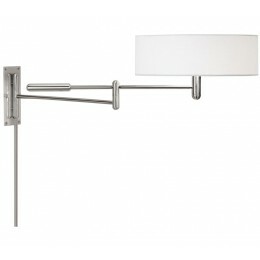 Perno Wall Lamp features two arms that provide extended reach, with a counterweighted arm directing light where needed. The orbital theme of the arms is echoed by Perno's drum shade. 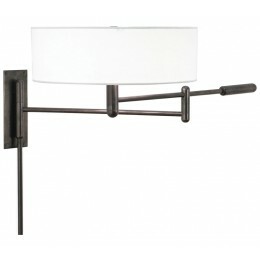 Trim lines and refined forms make Perno a contemporary classic. 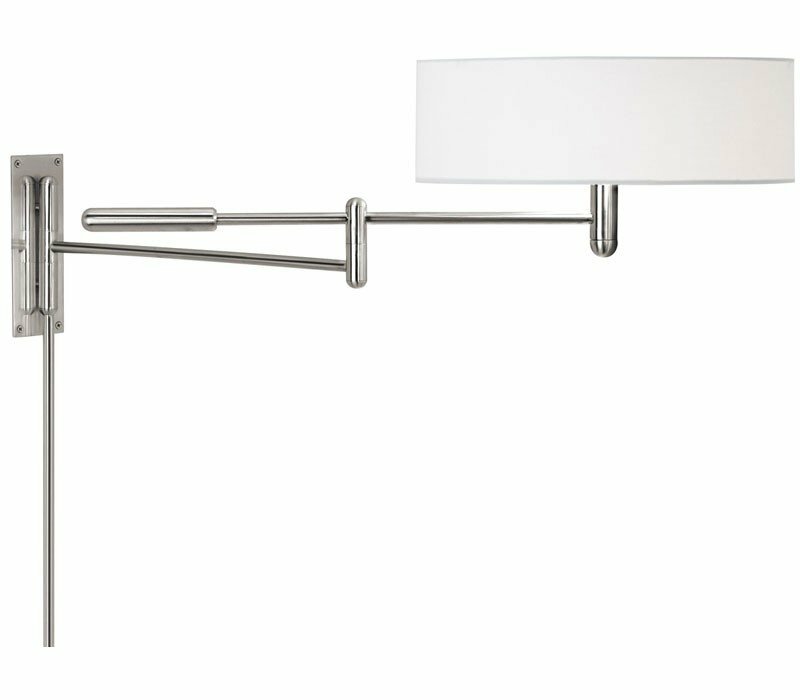 The Sonneman 7002.35 Perno collection Sconce Wall Lighting in Polished Nickel uses Incandescent light output and brings Modern style. This item is 14"H x 30"L x 41"D. The wattage is 120. The Sonneman 7002.35 requires 2 bulbs (not included). 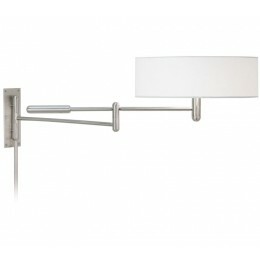 Additional Information: Shade-Off-White Linen Shade; Control-On/Off Turn Switch.